United Nations, New York — UN Women, under the Fund for Women’s Property and Inheritance Rights in the Context of HIV/AIDS, today announced approximately US$1.5 million in small grants to twenty grassroots and community-based organizations in sub-Saharan Africa to strengthen women’s property and inheritance rights as a critical strategy for addressing women’s vulnerability to HIV/AIDS. “There is evidence that increasing women’s economic security through access to assets such as land, property, income, credit and skills training helps to prevent HIV and strengthens the ability of women to mitigate its impact in their households and communities — especially when women are the main providers of care in AIDS-affected households,” said UN Women Executive Director Michelle Bachelet. 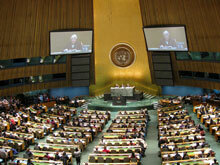 With grants of up to US$75,000, the grantees — selected from nearly 650 submissions — will implement one-year projects. Initiatives will focus on strengthening legal frameworks to better promote women’s property and inheritance rights in the context of HIV/AIDS; building the capacity of legal professionals and informal justice system providers to make legal services available, accessible and affordable to women living with and/or affected by HIV/AIDS; as well as increasing the influence of organizations and networks to ensure national HIV/AIDS laws and policies protect and promote women’s rights. Launched in September 2010, the Fund for Women’s Property and Inheritance Rights in the Context of HIV/AIDS is generously supported by the Canadian International Development Agency (CIDA). 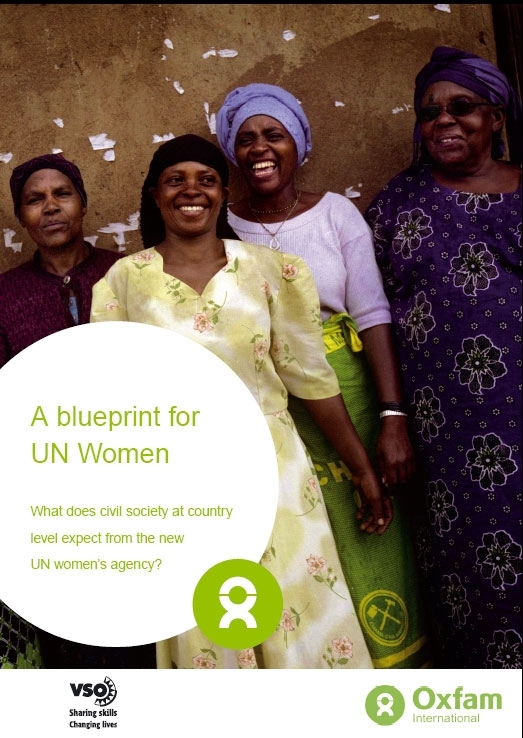 Given the overwhelming response to the initial call, CIDA doubled its initial contribution bringing the total amount of its support to US$2 million and enabling UN Women to award twice as many grants. ABANTU for Development (ABANTU), Kenya: to increase women’s capacity and access to inheritance and property, especially those related to unclaimed assets. To that end, ABANTU will advocate for the enactment of the National Unclaimed Financial Assets Bill and demonstrate the possibilities of re-unifying women in ABANTU’s HIV/AIDS support groups with these assets. Association of Genocide Widows Agahozo (AVEGA), Rwanda: to sensitize AVEGA members and beneficiaries living with HIV/AIDS on their property and inheritance rights, and to build the capacity of paralegals to provide legal assistance to widows involved in property and succession disputes. Civil Resource Development and Documentation Centre (CIRRDOC), Nigeria: to build and scale up interventions to reduce discrimination and stigma in Ebonyi and Cross River State. CIRRDOC will map statutory and customary laws related to women’s property and inheritance rights and build the capacity of legal service providers and anti-VAW committees at community level to improve women’s demand for, access to and use of legal services. Coalition des ONG et OCB du Cameroun œuvrant dans le domaine des Etablissements Humains (CONGEH), Cameroon: to provide women living with and/or affected by HIV/AIDS — especially those living in informal settlements and in situations of insecure land and housing tenure — with education, tools and resources to assert their property and inheritance rights. CONGEH will hold dialogues with local and traditional leaders to build support for these rights. Collaborative Efforts to Alleviate Social Problems (CEASOP), Uganda: to enhance the capacity of 180 “poorest of the poor” women self-help groups — with a reach of 3,600 members — in Lango, Northern Uganda, to advocate for property and inheritance rights by establishing community-level paralegal aid services to pursue their claims. Dialogue on Shelter for the Homeless Trust in Zimbabwe (Dialogue on Shelter), Zimbabwe: to conduct a participatory baseline of women’s experiences vis-à-vis access to property and inheritance rights in three provinces — Harare, Bulawayo, and Mashonaland West — and to design a community-based education campaign to raise awareness among member organizations and service providers engaged in protecting women’s property and inheritance rights. Grassroots Organisations Operating Together in Sisterhood (GROOTS–Kenya), Kenya: to scale up the work of the community-owned Watchdog Group Model in Kiambu, Busia and Homa Bay counties by enhancing access to formal and informal justice for grassroots women living with or affected by HIV, especially widows, with respect to land and property stripping. House of Peace (HOP), Tanzania: to address the intersections between HIV/AIDS, gender-based violence (GBV) and property and inheritance rights through specialized legal services for women and girls and a peer-education training programme to raise women’s awareness and build their leadership, communication and advocacy skills. International Federation of Women Lawyers (FIDA–Ghana), Ghana: to increase access to justice for 100 women living with and/or affected by HIV/AIDS and 400 of their dependents by strengthening legal frameworks and processes that constrain their property and inheritance rights. FIDA–Ghana will also build consensus among policymakers and gender advocates to ensure that national AIDS policies uphold women’s property and inheritance rights. Legal Resources Foundation (LRF), Zimbabwe: to strengthen the capacity of Zimbabwean women in Matabeleland to assert their property and inheritance rights and to increase access to justice of poor, marginalized and vulnerable women through education outreach and LRF’s legal assistance centres. Maasai Women Development Organization (MWEDO), Tanzania: to strengthen access to property and inheritance rights among 350 women living with or affected by HIV/AIDS in Arusha region. MWEDO will build capacity of Pastoralist Maasai Women Forums and watchdog groups, facilitate community local dialogues, and organize the regional Grassroots Women’s Land Academy. National Community of Women Living with HIV/AIDS in Uganda (NACWOLA): to strengthen the informal justice system in Kaberamaido District by building the capacity of community paralegals, clan and traditional leaders, and members of Land Boards, as well as that of women and girls living with and affected by HIV/AIDS to advocate for national laws and policies that protect and promote women’s property and inheritance rights. 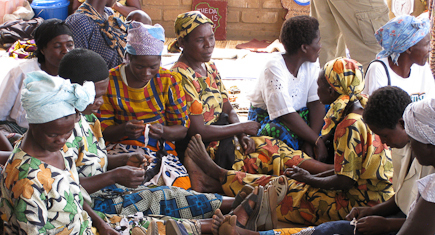 National Women’s Lobby Group (NAWOLG), Malawi: to promote a culture of will writing among women living with and/or affected by HIV/AIDS, including adolescent and elderly women, and to equip them with knowledge and skills to defend and assert their property and inheritance rights in Chitipa, Nkhata Baya and Rumphi districts, where practices such as property grabbing are common and rampant. NAWOLG will also engage with relevant government partners to initiate law reform on land policy and the Married Women’s Property Act of 1882 and to ensure protection of these rights. Ntengwe for Community Development (Ntengwe), Zimbabwe: to increase the capacity of local police, traditional leaders, local government paralegals, and support groups for HIV-positive women and peers to curb property and inheritance grabbing in Victoria Falls and Hwange district. People’s Dialogue on Human Settlement (PDG), Ghana: to reinforce national legal and policy frameworks so that women can fully enjoy their property and inheritance rights in practice. PDG will build the capacity of government, policy makers, the media and other stakeholders, and empower women, girls and their advocates to effectively claim these rights. Réseau des Femmes œuvrant pour le développement rural (Réseau), Rwanda: to build the capacity of local authorities, local paralegal officers, and judiciary systems at district and sector level to promote the property and inheritance rights of women living with and/or affected by HIV/AIDS; to document rights violations; and to raise the awareness of affected women, including their organizations, and local activists on laws, policies and strategies and practices. Slum Women’s Initiative for Development (SWID), Uganda: to empower grassroots women in Jinja District to achieve their property and inheritance rights by building coalitions that offer a stronger voice to an informed grassroots, to strengthen community paralegal networks, and to increase the participation of women living with and affected by HIV/AIDS in community decision-making processes. Uganda Network on Law, Ethics and HIV/AIDS (UGANET), Uganda: to expand legal support services through licensed legal practitioners, paralegal teams, and community-owned resource persons (CORPS) to women living with and/or affected by HIV/AIDS who are experiencing property and inheritance rights violations in Lira and Masindi districts in Northern Uganda. Women and Law in Southern Africa Research and Education Trust (WLSA–Zimbabwe), Zimbabwe: to provide legal aid and legal services to 600 women through help desks and mobile legal aid clinics, and to conduct research on violations of women’s property and inheritance rights. Men will also be engaged, especially in the areas of marriage registration and will writing. Young Widows Advancement Program (YWAP), Kenya: to enable young widows in Embakasi District in Nairobi to claim and defend their property and inheritance rights. YWAP will improve the availability of local legal resources for widows and orphans as well as increase their awareness and knowledge of their property and inheritance rights.